I picked up the 5 boxes get 1 free deal at the Wargames Factory booth at GenCon. 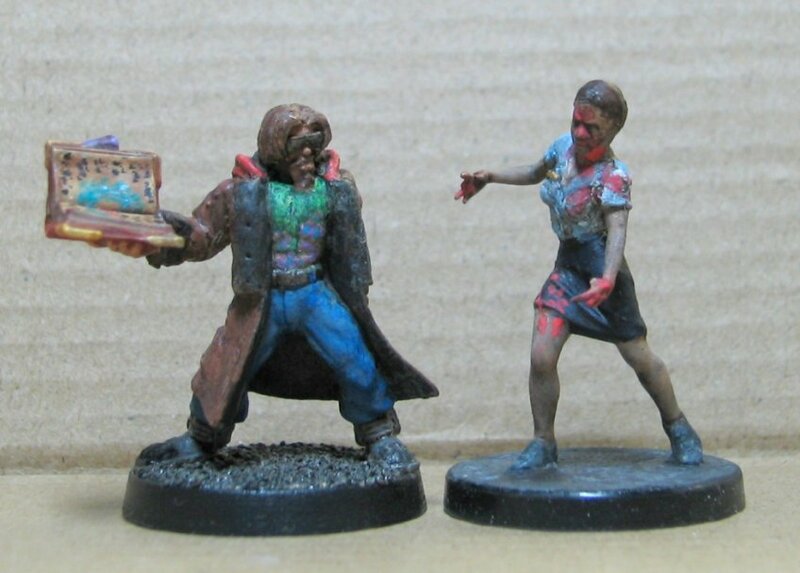 Two o the boxes were the Zombie Vixens (multi-part female zombies). 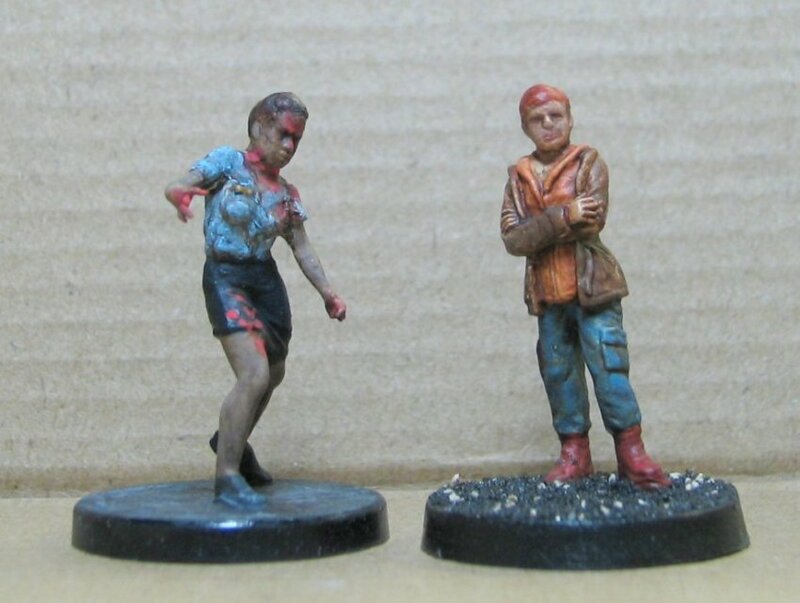 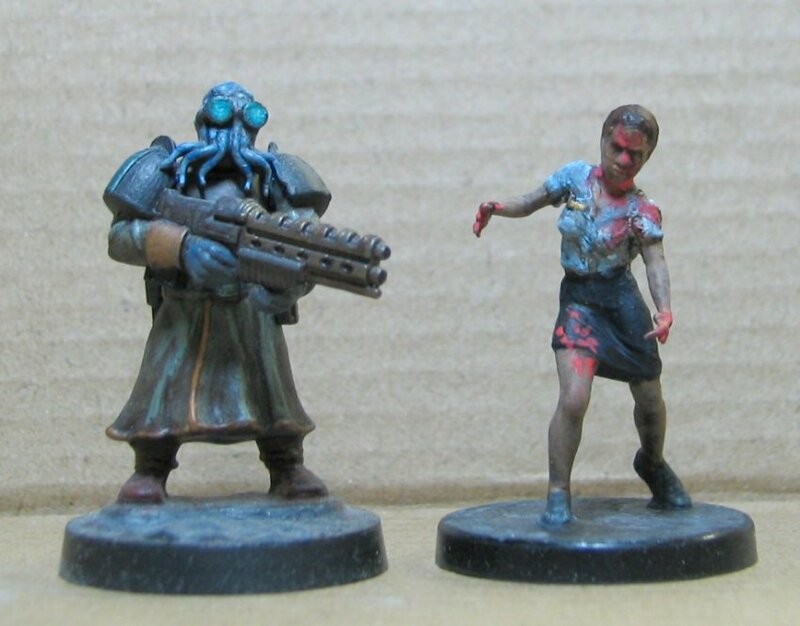 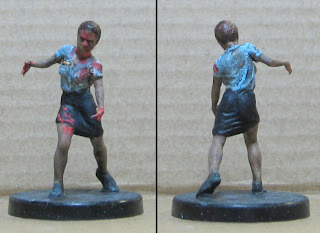 A quick and dirty paintjob for this unfortunate policewoman. 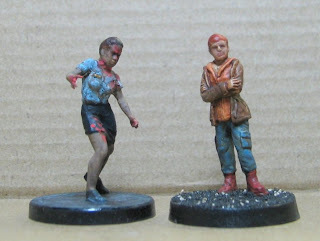 I decided to leave the base grey with some touchup and then an ink wash to make it look like pavement. With a rebased and repainted Hunger Games clix mini.